WBGO News team collects four NYABJ awards. Congratulations to the entire WBGO award-winning news team! The WBGO News Team won seven national and four state awards over the weekend! 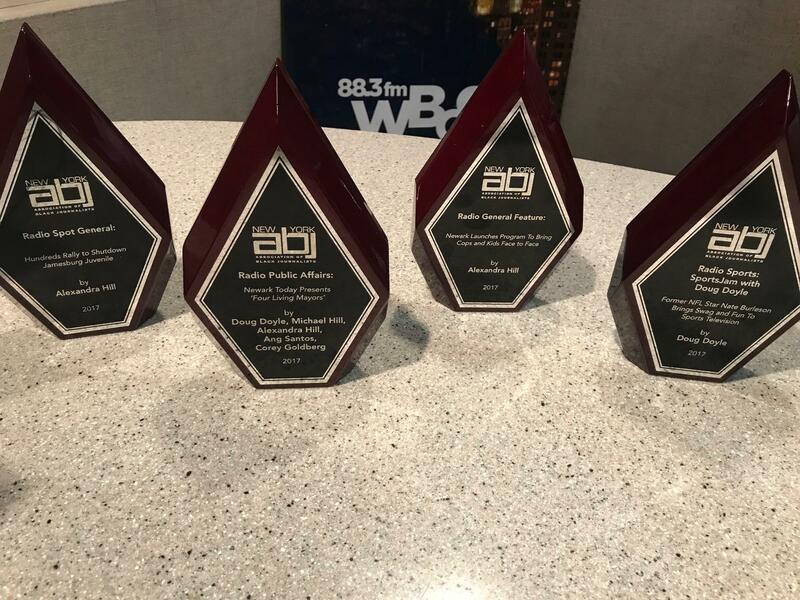 WBGO won a total of seven awards, including four first place, in PRNDI's (Public Radio News Directors Incorporated) Division "C" category for newsrooms with 3 full-timers or less. The goal of the PRNDI awards is to honor the best in local public radio. This year's annual PRNDI Awards Banquet was held in Florida Saturday night. More than 200 journalists attended the conference in Sunny Isles Beach, Florida.